East of Polk County on U.S. Highway 2 is Clearwater County (pop. 8,695), where the Mississippi River begins. You can walk across the Mississippi. Lake Itasca, in Itasca State Park, is the source of the Mississippi River. The river is about 20 feet wide as it flows north out of the lake. 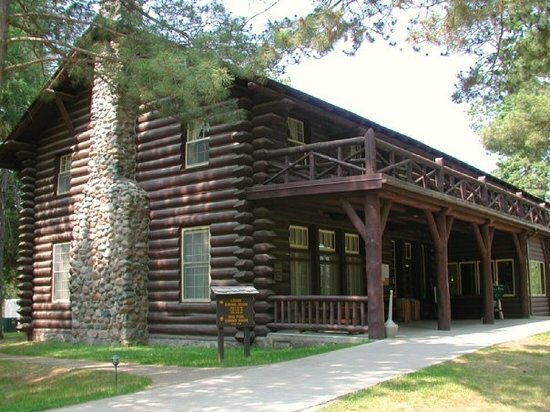 Itasca State Park has a variety of log-constructed buildings dating from 1905 to 1942. Visitors may also climb to the top of the park’s 100-foot fire tower. The Red Lake and White Earth Indian reservations make up a large part of Clearwater County. Bagley (pop. 1,392), the county seat, is northwest of Lake Itasca. 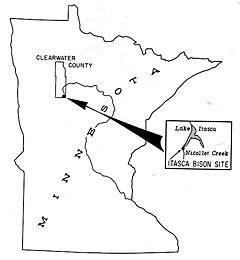 This entry was posted in Minnesota and tagged Bagley, Clearwater County, Itasca State Park, Lake Itasca, Mississsippi River source, Red Lake Indian Reservation, White Earth Indian Reservation. After 67 summers in northern Minnesota I finally crossed the rocks at the head of the Mississippi in 1993. It was a thrill. 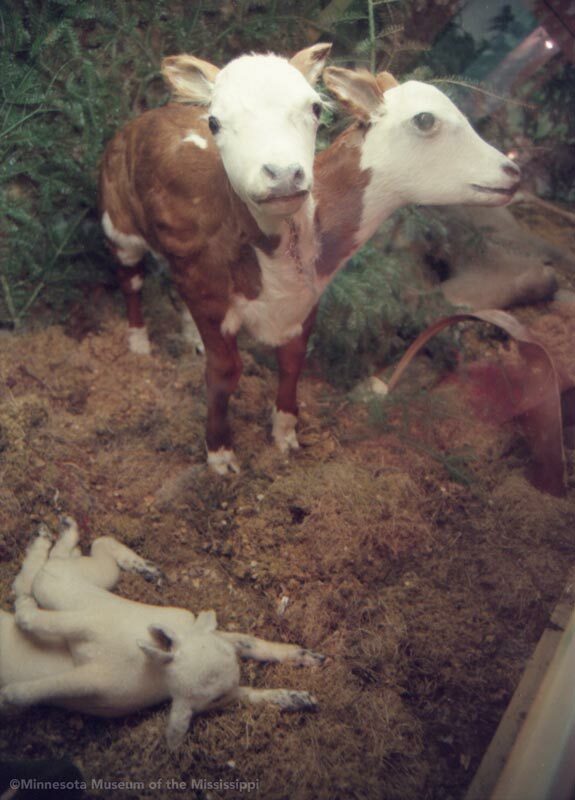 I think I did too but around 2002. Felt pretty cool. Itasca State Park also has several new cabins–also log–that have been built in the last ten years. We were walking along the Mississippi River in New Orleans several years ago and some people behind us were wondering where the Mississippi began. It was fun to tell them of our home state and to explain how it is an event for many of us to walk across the Mississippi at its very beginning.